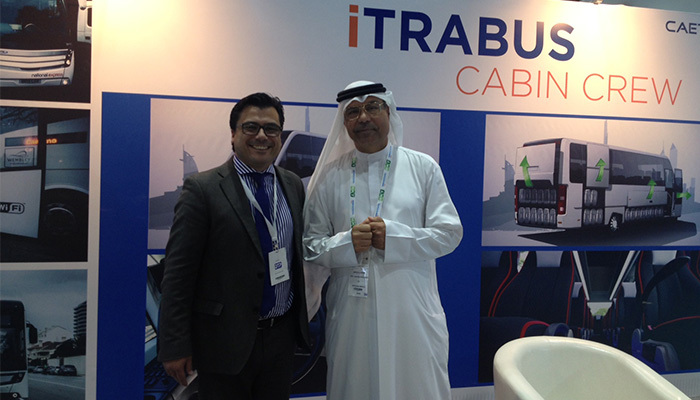 Salvador Caetano Industry participated at the Dubai Airport Show (9th – 11th May), the largest annual event of airports in the world. CaetanoBus and COBUS Industries took the opportunity to display their innovative solutions for airport service. The main provider of COBUS airport buses to Emirates Airlines stood out in Dubai with a COBUS bus developed for the leading airline in the Middle East. Another of the solutions exhibited was the Caetano iTrabus Cabin Crew, a minibus developed specifically for the transport of airline crew members at airports. The COBUS has been the world ‘s market leader since 1990. Today it is to be found at almost every modern airport. There are approximately 3.500 buses in operation in more than 100 countries worldwide. These numbers show both the company’s leading position in this segment and the capacity of the Portuguese engineering and industry to achieve success at international level.